As we get older, moving around safely becomes more difficult. Moving around the house is no different. While aging at home is ideal, it’s important to consider home safety. Often, changes to the home are needed to make it more friendly for senior living. What worked well for your loved one in middle age may not work as he or she gets older. When making changes to your or a loved one’s home to make it more senior-friendly, it’s important to assess all areas of the home, from the entryways to the backyard. Read on for a look at basic changes that you can make to the home environment for an aging-friendly space. Perhaps the most basic of changes needed to make a home a good environment for aging is to enhance lighting in the home. The National Aging in Place Council (NAIPC) recommends replacing traditional, toggle-style light switches with larger, easier-to-use rocker light switches and installing them 36 inches above the floor for easy access. Is Your Loved One Set Up to Age at Home? 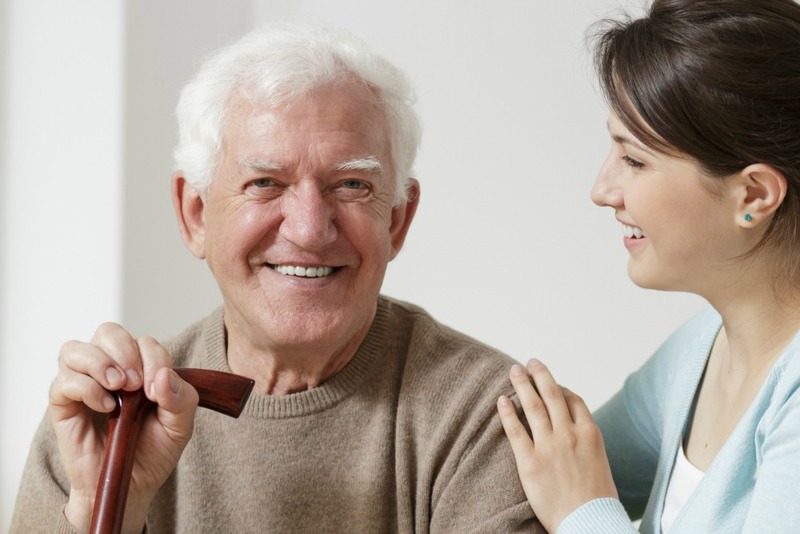 At Senior LIFE, our goal is to help seniors live safely at home and in the community. Slick surfaces and fall hazards are a recipe for disaster for most people—especially seniors, who are at an increased risk of falls. One of the most important changes that needs to be made is ensuring that the floors are slip- and trip-resistant. Aging adults and their loved ones can easily and affordably accomplish this by adding nonskid mats under area rugs or removing area rugs completely. You can also make floors safer by removing tripping hazards, such as rugs and exposed cords, wherever possible. For those who use walkers and other assistive devices, low-pile carpeting is often safest, as it prevents these devices from catching on the carpet and causing seniors to fall. The entryway is one of the most high-traffic areas of any house. It’s used to come and go by your aging loved one and his or her family and friends, some of whom may rely on walking devices. Because of this, the entryway should be safe under all circumstances, regardless of weather or medical condition. To make entryways safe and accessible, the NAIPC recommends removing steps and any barriers around the walkways and entryways—including doorway thresholds, a common tripping hazard. Also, to accommodate those who use wheelchairs and other assistive devices, installing a ramp is a simple no-step entry option. For seniors who enjoy gardening, simply raising flower and garden beds can help minimize fatigue and physical stress on the body. At Senior LIFE, we understand that things become more difficult as we age, from walking to taking care of daily activities. And we also understand that caregivers need a helping hand. That’s why we offer a variety of services to help seniors manage the challenges of aging, while remaining independent and in the home. Occupational therapy, for example, helps members perform activities of daily life, which helps them stay self-sufficient. In-home and personal care services are also available to help provide Senior LIFE members with the care they need in the comfort of home. By making these simple, affordable changes to the home environment, you can rest easier knowing that your loved one is safe in his or her home. More and more seniors are choosing to remain in the home as they age. If this describes you or a loved one, contact us to set up a free eligibility check to get started.